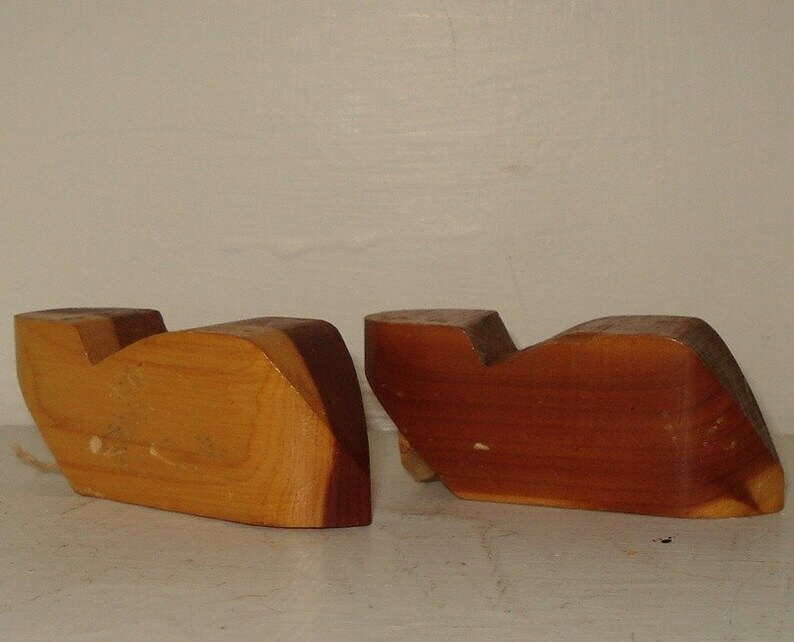 These vintage salt and pepper shakers are made from wood . Rustic, perfect for use in a cabin or primitive decor. In used vintage condition. I have not tried to remove the cork stopper as they can become brittle in time. A nice addition to any collection of shakers. Measures 2 1/2" long. Each is marked, one for salt, one for pepper. You will see a string behind the cork on the pepper shaker, I'm assuming this was meant to remove the cork at one time. More salt and pepper shakers? I will gladly combine your shipping costs. Return to Antiques Galore Gal.